Yesterday I got an order from Crop Chocolate for a bunch of Making Memories Garden Party stuff and I just had to use it! So what started as a card to celebrate a birthday ended up looking more like a card to celebrate Spring. Oh well... it's still cute. I'll try for a more birthday looking one later. BTW - I used an Amy Rysavy sketch for the layout. Anyway, on to the details: I paper pieced all the balloons separately so they wouldn't look like just one big balloon with a continuous pattern. 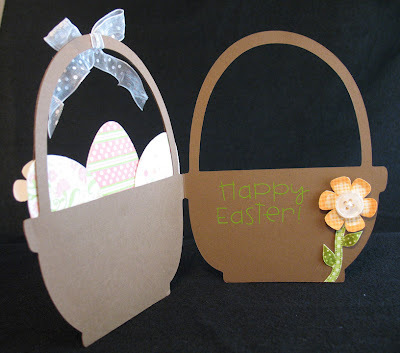 I also rounded them and popped them up with scrap cardstock. I colored Susie with Copics and used a black glaze pen for her shoes (to look like patent leather - wish I could capture it in a picture!) and her hair clips (to look like metal), and then added those tiny little flower rhinestones to her hair clips. The tag is a Cuttlebug die and the sentiment is from the Happy Chef set. The ribbon is May Arts, the white cardstock is Georgia Pacific, and everything else is MM Garden Party. Unfortunately, you can't really see the roundness of the balloons - they look so much better IRL! I hope you like it and TFL! ETA: OMGoodness!! I made Card of the Week and couldn't be more thrilled!! I nearly cried when I read what Laura wrote about my card and blog! And don't forget to check out the Fab 5 for more inspiration! 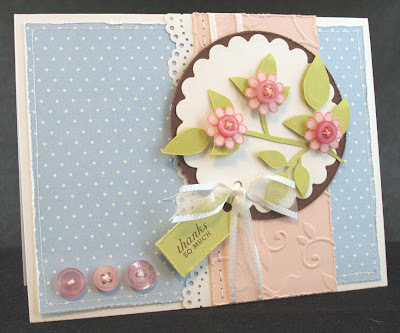 The branch and flowers are from the Beautiful Blooms set and the sentiment is from Mixed Messages. The buttons, ink, patterned paper, and cardstock are all from Papertrey as well (except for the white cardstock, which is Georgia Pacific). You can see that I did a bit of distressing on most of the pieces just by running my scissors over the edges, I embossed the blush piece with a Cuttlebug embossing folder, and the little sentiment tag is tied into the ribbon knot with some thread left over from sewing on the buttons. I hope you like it and TFL! I used the Chloe Fairy image from The Greeting Farm again because she's definitely my fave of the three fairies - I love her long hair and outfit! I did some machine zig-zag stitching on the background piece, and some hand stitching on the green panel because I wanted to use a thicker thread that doesn't do well with machine stitching. The paper is really old Bo-Bunny and the flowers and Prima. I embossed with a Cuttlebug folder and punched the edge with a Martha Stewart punch. You can see in this close shot that I went over all the lines and dots on the wings with Stickles, but what doesn't show as well is that I also went over the whole wing with a waterbrush and a Stardust glitter pen for a really subtle all-over sparkle. I also paper pieced her outfit in multiple parts and went over it with the glitter pen. Lastly, the sentiment is from Panda Friends and those are tiny little heart rhinestones on either side of it. Hope you like it and TFL! The cake is from You Say It's Your Birthday and the sentiment is from Smells Like Cake. These are definitely my favorite TCP stamp sets so far. The penguins are too adorable and I love the funky cake and cupcake images too! The card is 3.5"x6.25", which fits into a bill size envelope (they're really cheap and easy to find). Lastly, the patterned papers are more SUPER old stuff from my stash that I found when I was moving things around in my craft room recently. It's from a company called One Heart... One Mind that unfortunately is no longer in business. I can't believe I never used any of it before - the colors are so pretty! The ribbon is May Arts and those are Dew Drops on the bottom. 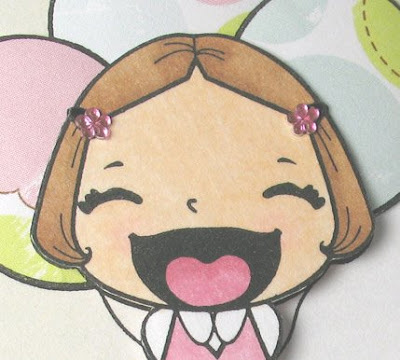 I'd love it if you'd stop by and give her some love - she does really awesome stuff on her blog! Chalsie - thanks so much for thinking of me - you made ME smile!! I used Amy Rysavy's Friday Sketch #57 because I thought it fit Flutter Anya really well. I pulled colors from the pink paper for her dress, and colors from the butterfly paper for her wings. The panel she's on is airbrushed to match (with the Nestie left in place for that clean white edge). For the pink layer, I punched it as well as a bit of white cardstock with a Martha Stewart punch and layered them together. 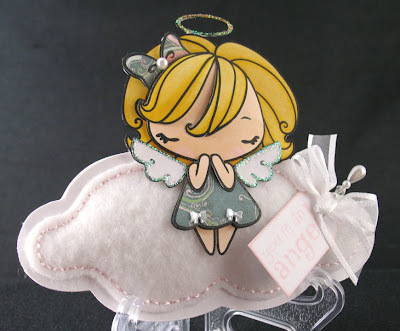 If you enlarge the picure, you can see that I added a couple of tiny pink heart rhinestones to the hearts on her wings. What's not captured in the picture is all the glitter that I added to her wings with a Stardust pen (drawn on all the lines and dragged around with a waterbrush for an all-over sparkle). 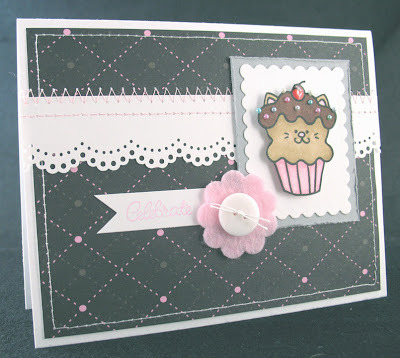 Lastly, the sentiment is from the Wonderland set, ribbon is May Arts, and the paper is Basic Grey Urban Prairie. 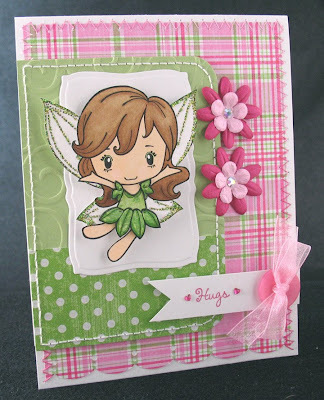 The funny story about this card is that I was preparing for last week's Club Anya Blog Hop and for some reason, I thought the fairies were considered Anyas. I had my card done and photographed and was linking up my post when I finally realized the fairy didn't count as an Anya!! 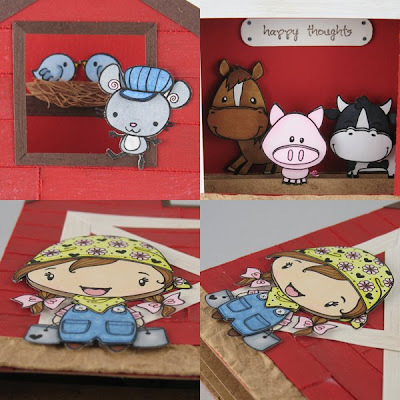 I panicked because it was super late the night before the Hop and I didn't have time to do another project, so I ended up posting the barn card that I had made previously, but hadn't gotten around to posting yet. So today I'm showing you what I originally created for the Hop. 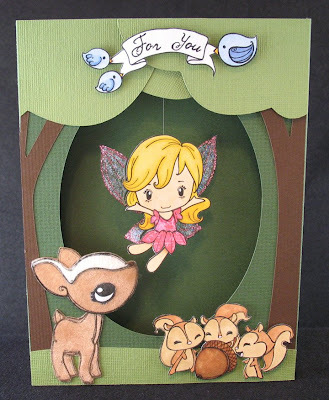 The squirrels are also from the Forest Friends set, the little birds are from the Wishing Tree set, the big bird is from the Pretty Hat set, and the For You banner is from the Lucky Bunnies set. Lastly, I cut the tree, grass, and the opening in the card with my Cricut. I hope you like it and TFL! 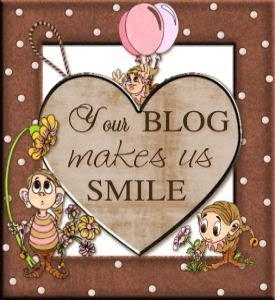 Thanks for stopping by - I hope you're enjoying the first Club Anya "Blog Hoppin' Bash!" You can see I used a few other sets too: the chicken and mouse are from the McSplendid Farm set, and the little birds nesting in the rafters are from the Wishing Tree set. Anya was done in multiple layers for dimension and interest and colored with Copics, as were all the animals. The barn is completely my own design and I put a lot of work into it! 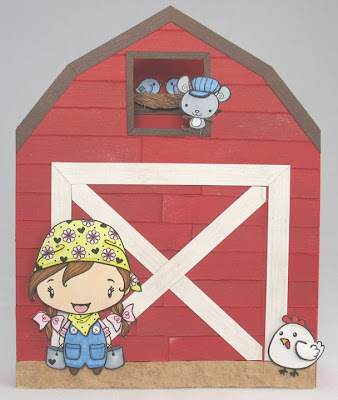 Every "board" on the barn is a separate piece of cardstock that I distressed by running my scissors over the edges, scratching up the surface with a stylus, and dry brushing different inks for the look of weathered wood. 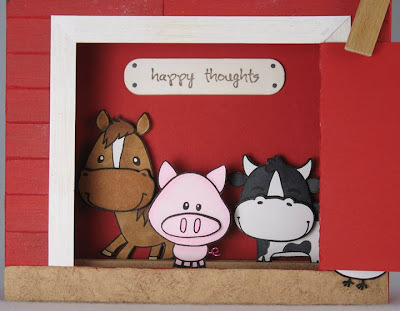 When you open up the barn door, you can see all the animals inside! These animals are also from the McSplendid set, as is the sentiment (which is supposed to be a wood sign nailed to the wall). 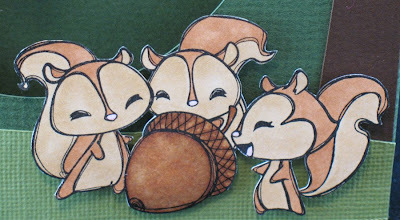 All the animals are on their own piece of cardstock so that they're at different depths in the card. They all have multiple layers for a lot of dimension. 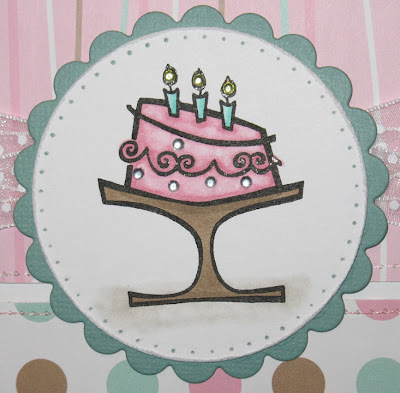 I hope you like my card and enjoy the rest of the Blog Hop! 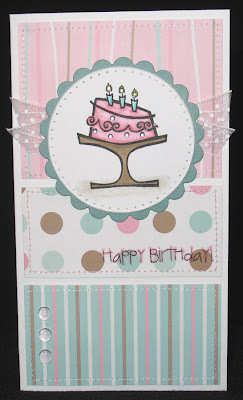 MFT's April Ambassador Challenge #2 is to create a card that uses different textures. The first texture I thought of was Fun Flock, so next my mind went to Flopsey. I have this set, Tea with Flopsey, from last month's release that hadn't seen ink yet, so I went with it! I airbrushed the sky and ground, then added some grass with the same Copic marker. The sentiment is from the Bunny Slippers set. 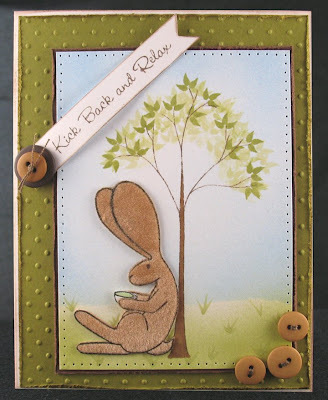 I embossed the green panel with the Cuttlebug Swiss Dots folder (still my absolute favorite!) and pierced the main panel. My last texture was distressing the edges of the green and brown panels. 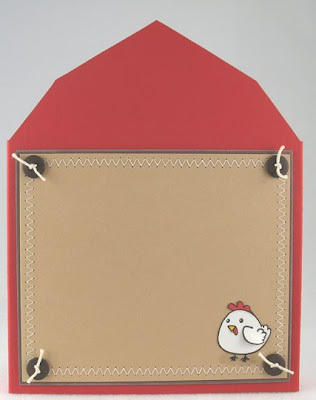 For the flocking, I used the same technique as on the card here, which is to cut a piece of cardstock in a color that matches the flock, cover with double sided adhesive (I use red liner sheets), and cover with flock. 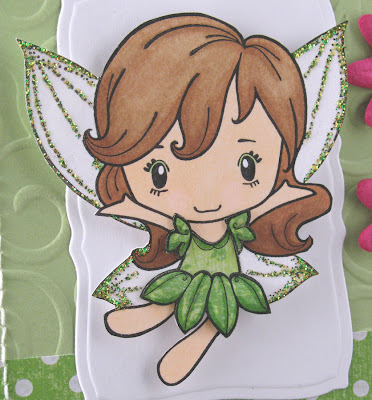 Then I stamp my image on my new flocked sheet and cut out. I feel this method gives the best coverage and then I'm not flocking over stamped lines which can obscure them. 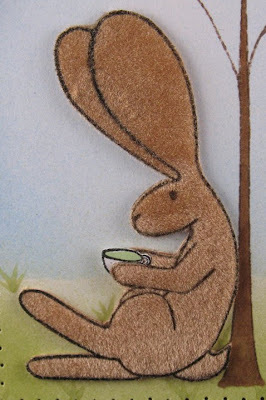 Hope you like my textured card and TFL! 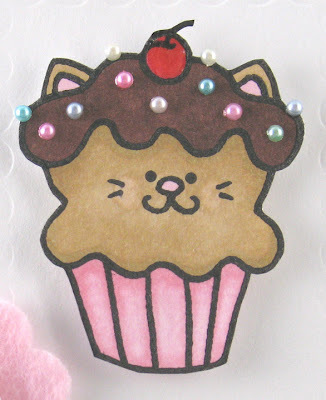 I cut the cloud on my Cricut using the Hello Kitty Greetings cart, and used Design Studio to make it into a card and sized it how I wanted. I also cut an extra full cloud shape, and then a smaller shape to serve as the pattern for the felt. I cut out the white felt and hand-stitched it onto the extra cloud shape with light pink rayon embroidery floss (it has a slight sheen that's really pretty). I stuffed it just a little so it has a nice puff. 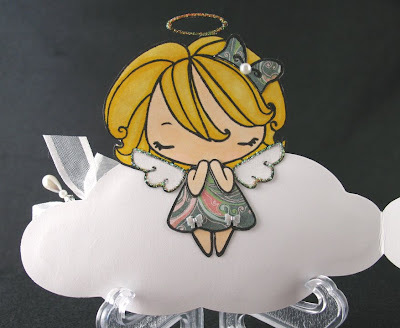 I added an extra face, bangs, arms and wings, as well as a paper pieced bow and dress. 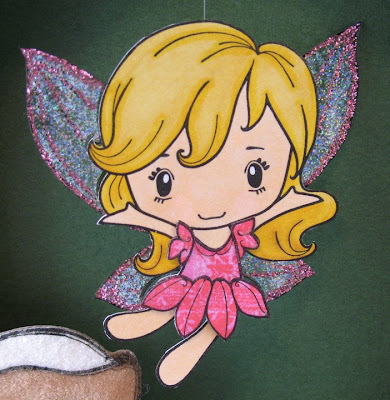 For the wings, I outlined with a Stardust glitter pen, then drew the glitter around with my waterbrush. This method fills in the area with a more subtle glitter sparkle than just filling in with the pen. I then went over the lines with Stickles. I also Stickled the halo. I attached tiny little bows to her dress and a half pearl to her bow. The beaded pin is Making Memories, the ribbon is May Arts, the tag is Spellbinders and the sentiment is Stamping Bella. I did this because I didn't want to hand draw a back to her, and I didn't want just a plain white back, or even worse, the back of my cardstock where the Copics bled through! I really like shaped cards, so this was a super fun challenge for me! TFL! 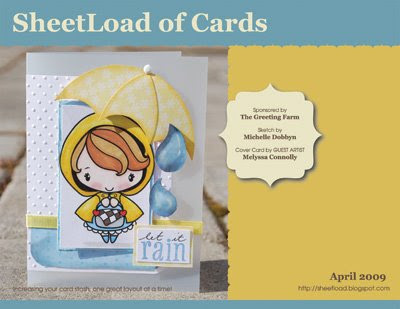 This month, Sheetload of Cards is sponsored by The Greeting Farm, so of course I had to give it a shout out! Go check out the issue (click on the picture below) for some really awesome samples! My favorite is definitely the Wicked card - SO creative!! The basket and eggs are from the Doodlecharms Cartridge. 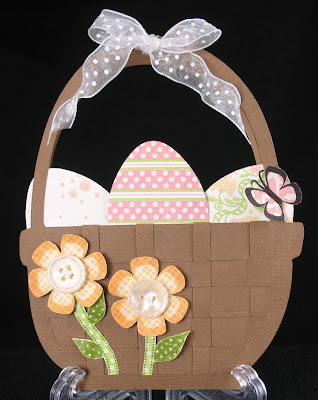 I used Design Studio to make the basket into a card and size it exactly how I wanted, and then I also cut a regular basket so that I would have an extra layer to sandwich the eggs, hide the back of the weaving, and also for the detail cut lines on the basket. I cut 3 extra lines on the regular basket in between the cuts that were already there. I used my trimmer to cut a bunch of 1/2" and 1/4" strips, and then wove them into the basket. 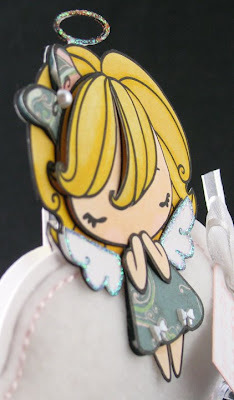 The sentiment was done with (appropriately) Doodlebug rub-ons. The card is approximately 4 1/4" x 5 1/4" so it fits nicely into an A2 envelope. Last note: I used a tip from Jody Morrow to briefly hit the ribbon with my heat gun to get that wavy look. It also relaxed the tails a bit so they weren't just sticking out straight to the sides. Thanks for the tip Jody! 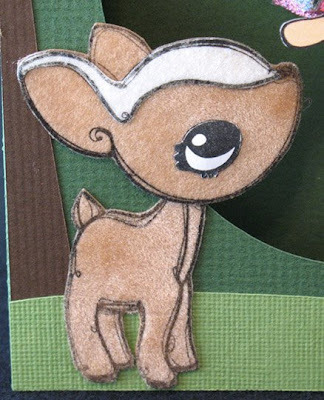 Other materials used: patterned paper - DCWV Nana's Nursery Baby Girl; ribbon - May Arts; buttons and floss from my stash.